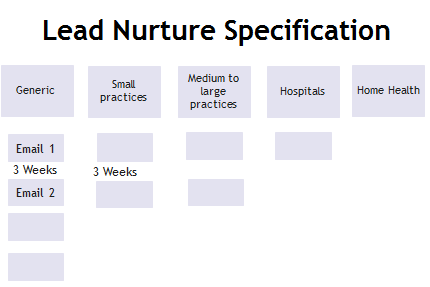 Having worked with 80+ companies on their marketing automation, we’ve seen this scenario repeated over and over: A marketing automation client wants to automate their lead nurturing program, so they create a flowchart. Flowchart nurture programs use “if this, then that” logic – basically, it charts how a lead could potentially move through your sales funnel. In fact, some marketing automation providers even create a flowchart interface for your lead nurturing tracks. 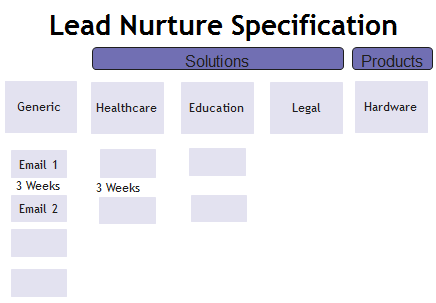 Here’s the thing: There is a new lead nurture paradigm, which is substantially more effective than using flowcharts. I’ll explain why it’s more effective, and how you can make the jump. Match leads to nurture streams. Step 1: Forget the Flowchart. Flowcharts aren’t agile. Flowcharts require rebuilding workflows when new content is added. Making changes requires you to reprogram complex flow charts – which can quickly get unwieldy. Flowcharts are error prone. Complex flow charts can cause you to send expired or duplicate content, or even too much content to subscribers. The last thing you want is to send prospects an invitation today to an event that was held last week, or to receive an email from a subscriber who is fed up with your constant messaging. Flowcharts = More work + less results. In the new paradigm, we focus on getting leads a certain type of content, and then delivering that content regularly until we decide there is a better type of content for them. The second step is to decide how you’ll organize your content. To start, you’ll only need four or five categories – start small, or you’ll get overwhelmed. In the below examples, I have stripped down some client specifications to the bare minimum, just to show the categories of content they decided to use. Each of the above examples has only five categories of content – that’s it. Limiting your categories makes your charts simple but effective. You can always get more granular later. Many companies initially organize their content by buying stages – sending different content to early-stage buyers, mid-stage buyers, and late-stage buyers. But the key here is that each category must represent a really good reason to communicate differently with someone. You should know that if two people fit into two different categories, they’ll need two different content strategies. If you can’t say that, your categories aren’t strong. 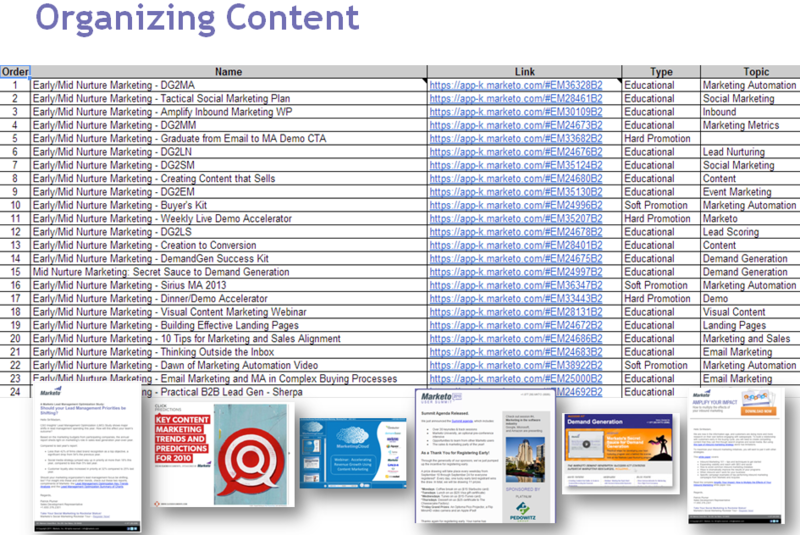 Once you have your content categories defined, simply organize your content assets according to those categories. Now you have a nurture stream! Now that you have your nurture streams, make sure you’re putting each lead in the right stream. You can use a combination of demographic and firmographic data, as well as behavioral data, to deliver the most relevant, engaging content to your leads. Once your streams are in place, you can make a list of triggers — behaviors that indicate a lead should be transitioned from one stream to another. For example: if someone visits your pricing page three times within a week, you might want them to be transitioned to an accelerated, more aggressive steam. 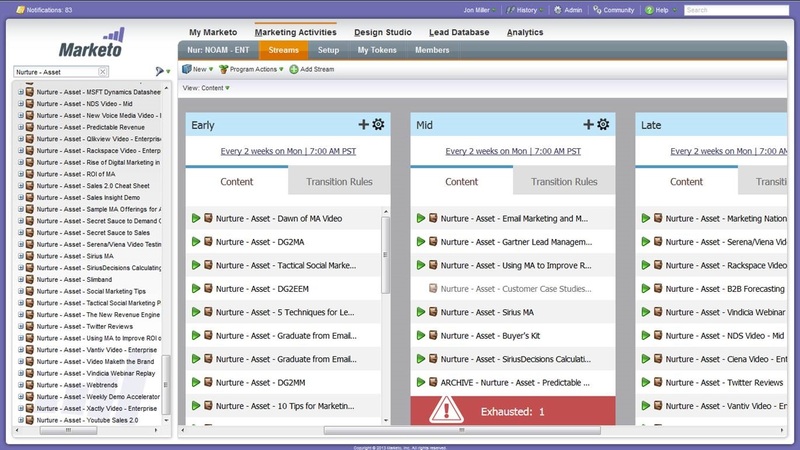 Your marketing automation platform will listen for these triggers, and transition leads accordingly. To create a lead nurturing program that is automated, efficient, and targeted, you’ll want to download our newly updated Lead Nurturing Success Kit — we’ve rounded up all of the information you need to create and implement your nurture streams. 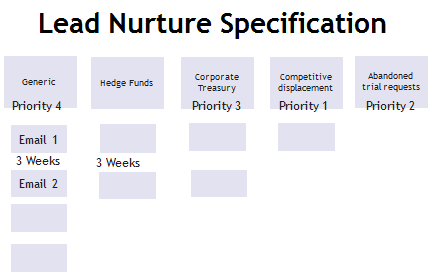 Does your organization still use flowcharts to nurture, or have you entered the new lead nurturing paradigm? Share your experiences and best practices in the comments below.